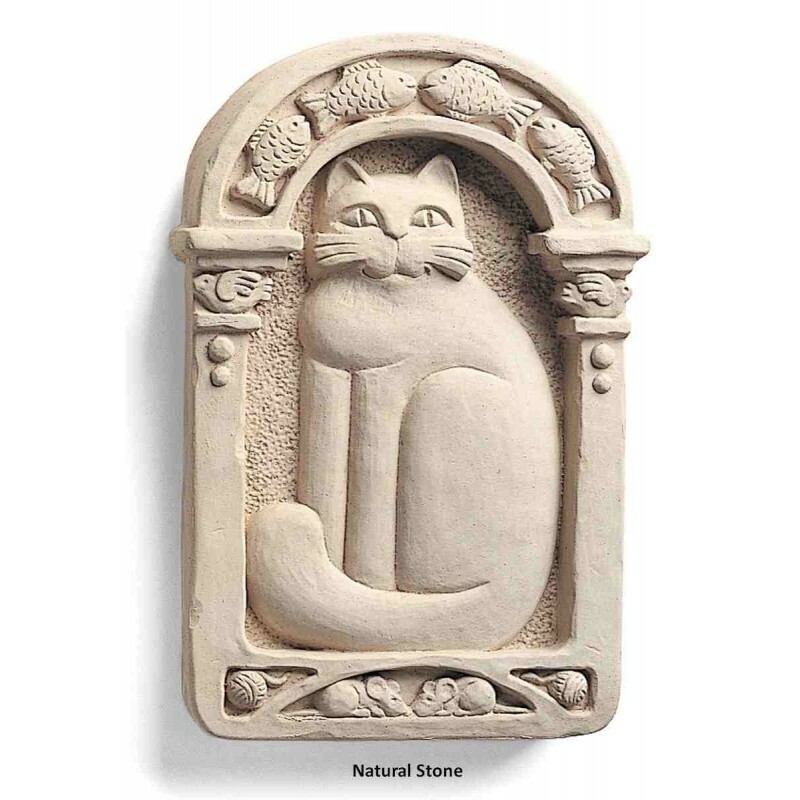 Simple, bold and elegant, the Cat Plaque is a favorite gift for every cat lover. Sorry, no PO boxes or express delivery. This item is exempt from all discounts. 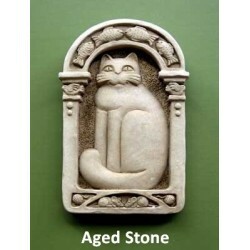 Order your Cat Plaque here! The sculpted cat image is bold yet elegant. Notice the fish, mice, balls of yarn, and birds that help make the border. 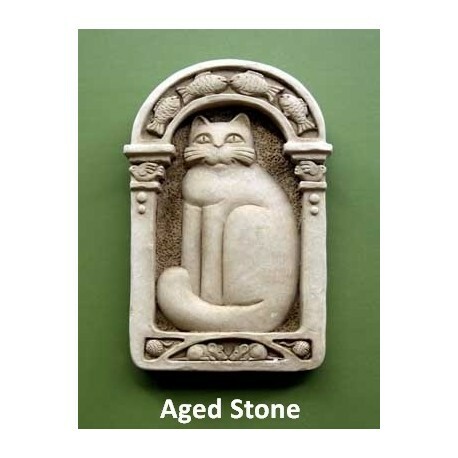 A gift for every cat lover. 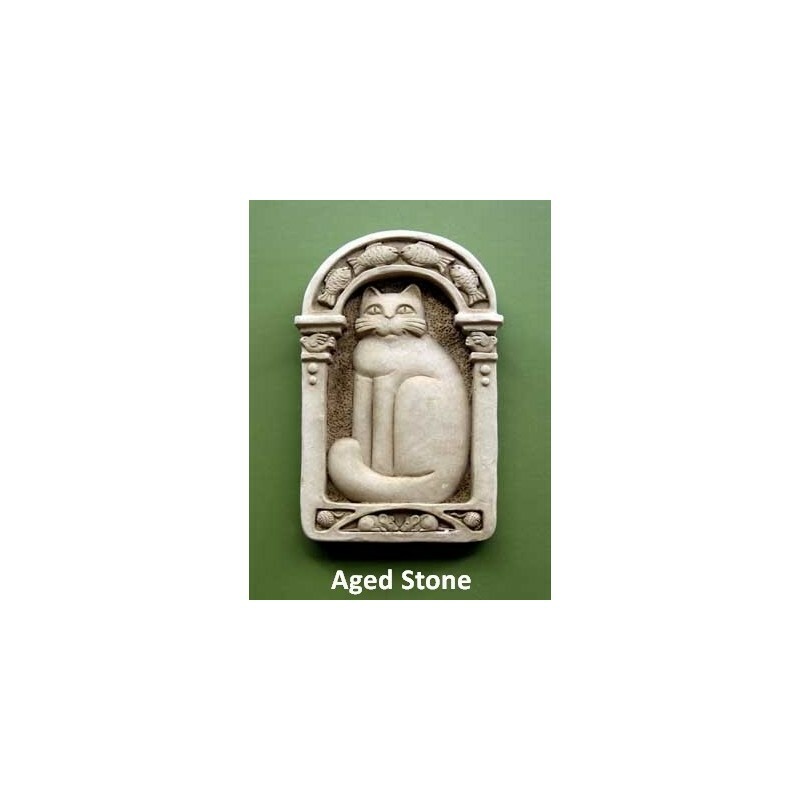 People sometimes write to us and describe how well this statue works as a pet memorial.